Well not really in a nutshell - I wouldn't want anyone with a nut allergy to be unable to read it. It's been a massive year. Easily the biggest, most jam-packed year of my life. So excuse me while I go link crazy. I hope you'll click on some that take your fancy. But my proudest moment would have to be getting the drug-free birth I had dreamed about with Tricky! So yeah, it's been a helluva year! Here's hoping that 2011 brings some new and exciting times, but hopefully less drama. I am glad that your year is a brilliant one. I hope the next year would bring you more love and happiness and wealth. Teeeeny tiny nails on jerky hands is not a good combination! What an amazingly full year! 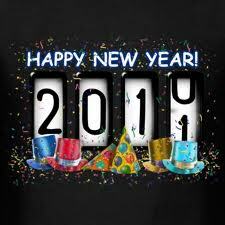 Here's to a great 2011!! I cut the tip of Darling No.1's finger off before realising you are meant to bite them off yourself! Needless to say, to this day I still can't look at her finger nails without nearly bursting into tears. Have a Hip Happy New Year!